The Keeping up with the Kardashian’s sovereign revealed her latest outfit for husband Kanye West’s Sunday Service on Instagram Thursday, and it’s already sparked accusations of cultural appropriation. 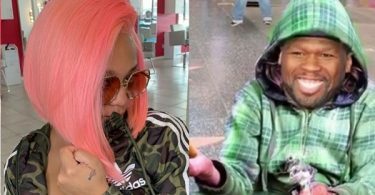 CelebNReality247.com reports that Kim Kardashian-West is really trying to create some major buzz for her husband Kanye West and his Sunday Service. Earlier in the week, Kanye West Sunday service is heading to Coachella when he sets to headline the music festival in the desert. According to Kim Kardashian-West she says that the Sunday church services her husband Kanye West holds each week are a “healing experience” for the rapper. This is why he is now bringing to weekend two of Coachella. I’m really excited for Kanye to perform Coachella. I’ve never been. I’m so excited to be a part of it for the first time. On the bright side of things fans won’t have to hear him rant, on the bad side of things, fans won’t hear any of his hits, but it will be historical regardless. 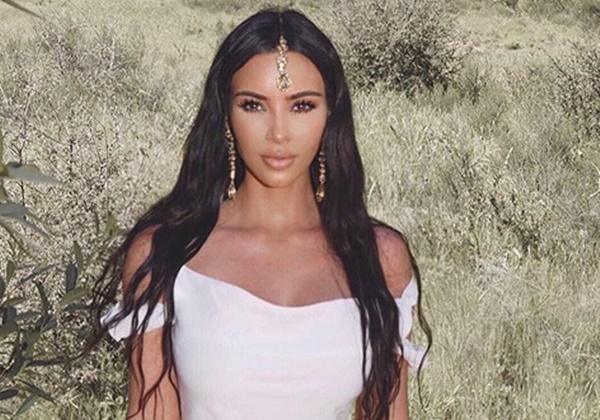 As for, Kimmy K’s look it includes a traditional maang tikka, jewelry long worn by Indian brides and designed to rest on the sixth chakra of the forehead, or third eye. Yes, an illuminati reference for those not in the know. The piece is placed by a pin perfectly at the hairline with matching dangling earrings, a gold cuff bracelet and a floor-length white dress. One person commented on the star’s post. This looks so weird from an Indian perspective lol. This is similar to the time when Kardashian appropriated black culture via various braided hairstyles. She has yet to comment. There are sure to be many people wearing copying Kim’s look for Kanye West Sunday Service at next week’s Coachella music festival. We think that is the plan after all.